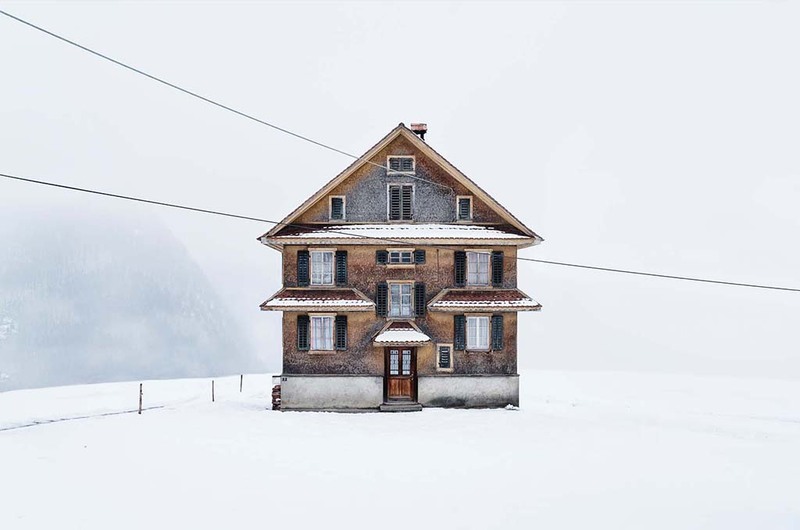 The German born photographer, Patrick Lambertz, challenges stereotypes about Switzerland with an ironic twist in his latest photographic works titled “Châlets of Switzerland”. 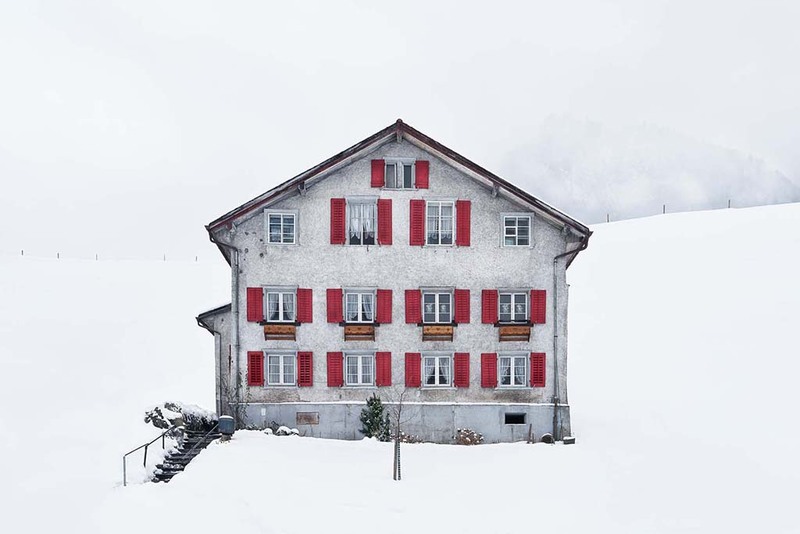 Although Switzerland is comparatively small, there are more world-famous clichés about it than about most countries: chocolate, luxury watches, banks, cheese, Heidi and the mountains, to name just a few. 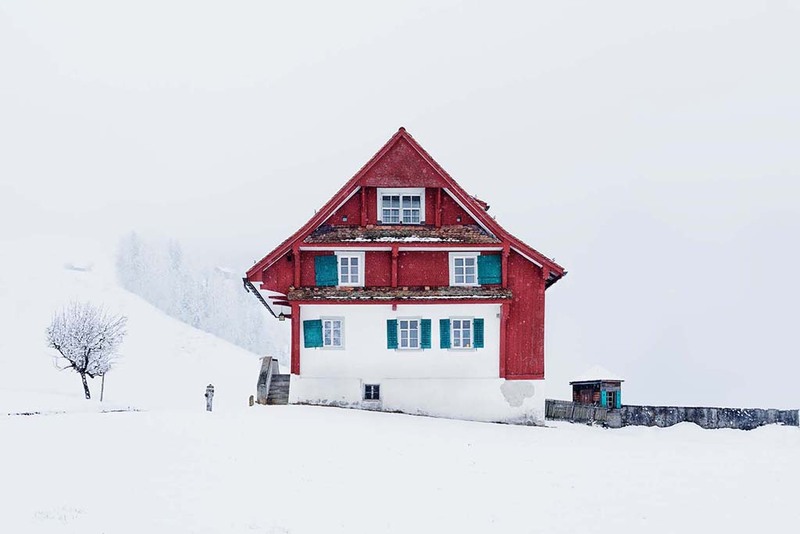 Among those idealized Swiss images is the romantic wooden mountain hut – the Châlet – with open log fires and a rustic interior, embedded in high mountains and surrounded by virgin snow. 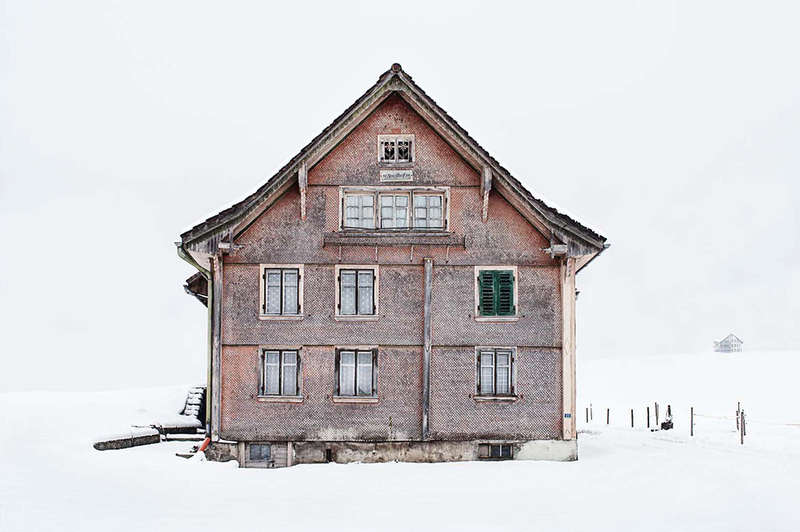 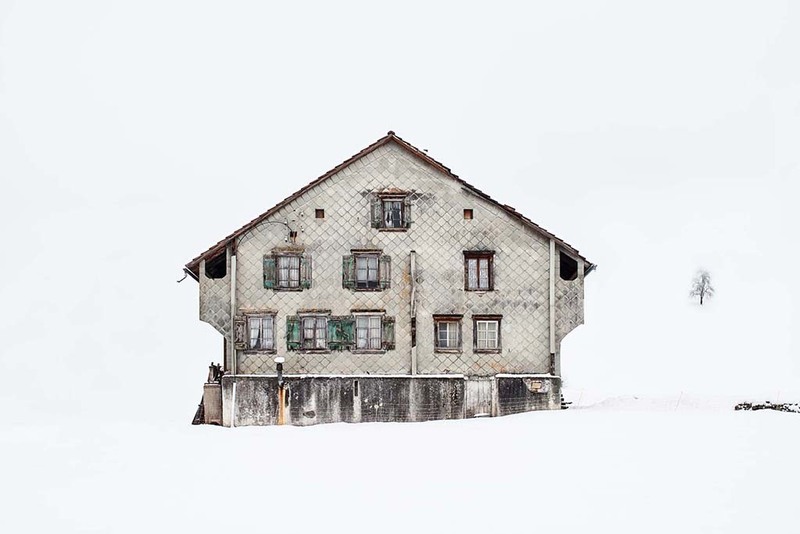 Patrick Lambertz consciously utilizes this cliché with his photo series “Châlets of Switzerland”. 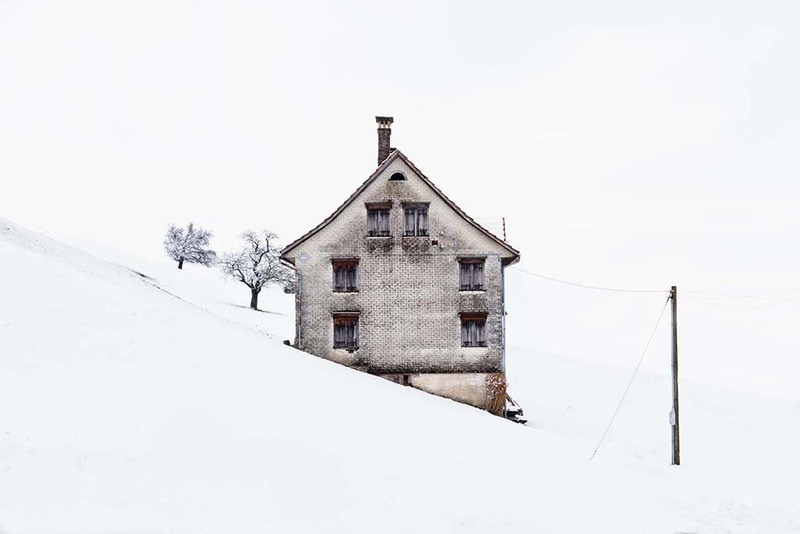 “Châlet” originally means barrack or hut. 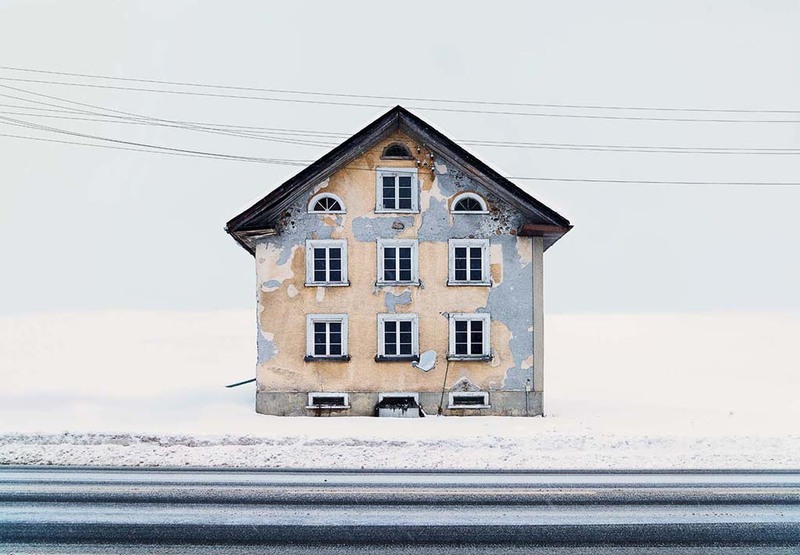 The roots of the work of Patrick Lambertz can be found in the history of photography, in the works of the Dusseldorf photographic school and the ‘New Objectivity’ movement. 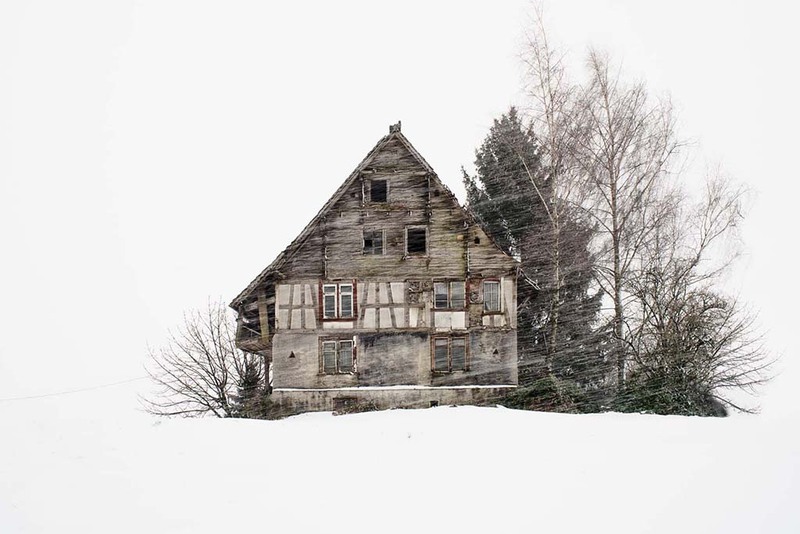 The photographic series of half-timbered houses realized by Bernd and Hilla Becher at the end of the 1950s was as much a godfather as the serial typology of photographer Candida Höfer. 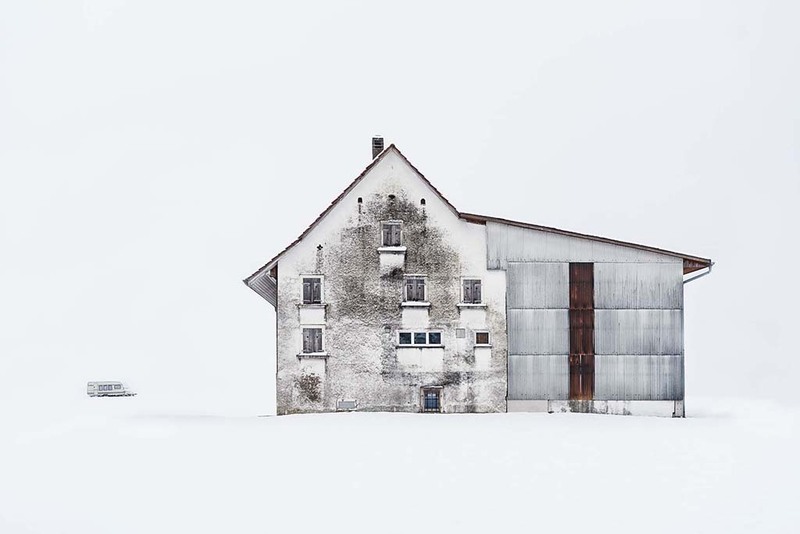 And even the strictly formal photographic art of Karl Blossfeldt echoes in the perspective of Patrick Lambertz. 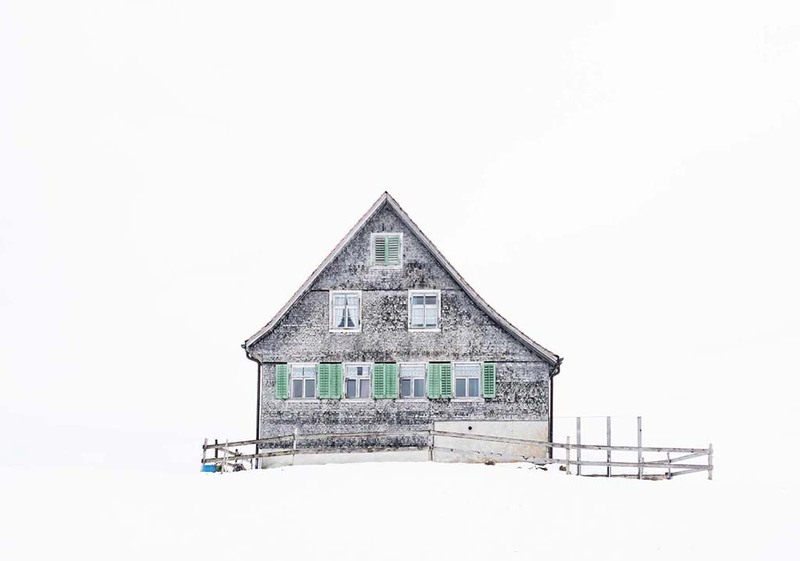 In the process of photographing the most diverse Châlets, he decided to photograph them in an abstract, minimalist winter landscape. 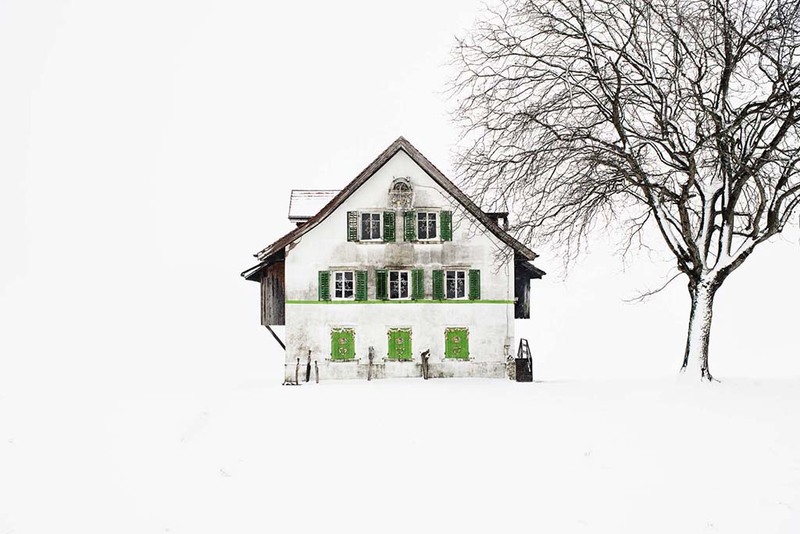 Presented this way, the Châlets stand out from a ‘Switzerland apart’ as the artist calls it.